All has been well and somewhat “normal” (our normal anyways) in the Irvine household, and other than some minor colds being passed around (can it be Spring already?? ), it’s been a-okay kind of month. We find ourselves in a “hurray up and wait”/”holding pattern” phase yet again as we wait for our upcoming Bronch (April 5th) and Cath (date still TBD), but trying to enjoy every bit of calmness we're experiencing. We did find ourselves finally admitted to the ICU for monitoring and vent tweak as per our respiratory team the first weekend of February, but in hindsight, I feel like it was sort of a pointless situation. We did learn a few useful things that we’ll be able to use in decision-making after Evanna’s April bronch, but the exhaustion of those 3 days in ICU wasn’t really worth it in my opinion….oh well. so.....we are being discharged already. We only made one small change (we decreased her delta from 15 to 12 for those who want to know and understand), but we learned + gained a lot of information that we will be able to use when we actually proceed with a bronchoscopy in March/April. 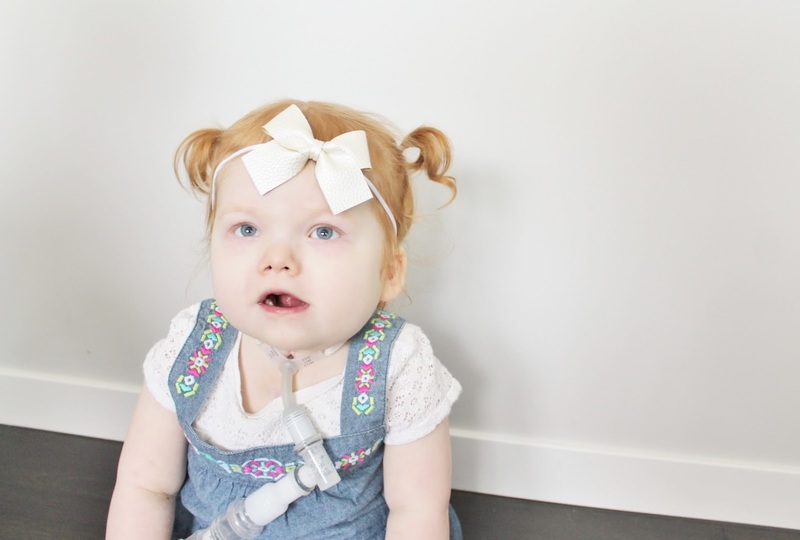 Essentially we learned that Evanna is using her "upper airway" quite frequently to breathe when she's asleep (she has a large "leak" and her trach is considered "very positional") instead of the pressure she's given through her trach. It's not necessarily a bad thing when all her "numbers" (ie. 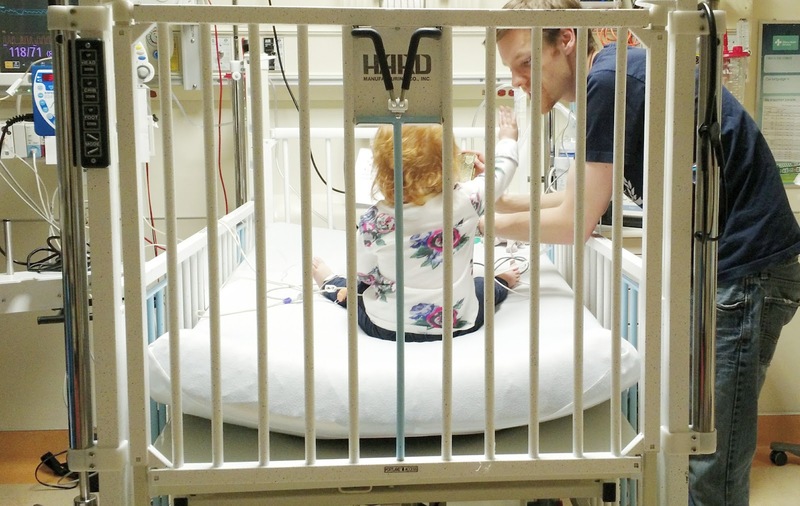 oxygen saturations, CO2, breathing rate + heart rate) stay within normal limits, and again points to the fact that Evanna is getting stronger and potentially ready for some ventilator decreases. HOWEVER, while the numbers are showing us all of this – the more appropriate (and safer) way to make weans is to visualize what her trachea is actually doing when they make those decreases in a controlled environment -- via a bronchoscopy. So armed with all that new information, we are being discharged today with one little decrease and a lot of new information that we will incorporate into decision making when we come back for our bronchoscopy next month. Yes, this process seems extremely slow, but we're dealing with an A I R W A Y, and the wrong decision could result in fatal consequences (something I have to remind myself when I get impatient). Yes, Evanna's history and her "reputation" doesn't help sometimes (lol), but they just want to make sure Evanna is more than ready before any decisions and changes are made. The medical team has implied that they do think she's ready and can't believe how much bigger and stronger she is, and we just have to wait a "few more weeks" to make these changes. I will say, it was definitely weird to be in ICU when Evanna is the best she's ever been (and no IV!! ....that was a first) and were more than happy to go home....cause man, we were getting real board! it's funny how a "good admission" can still be emotionally charged || stay with me here, but despite being admitted for a good reason earlier this month, it was still wrought with anxiety and some very emotional moments (which resulted in some major tear works all the way home after the 2nd day). 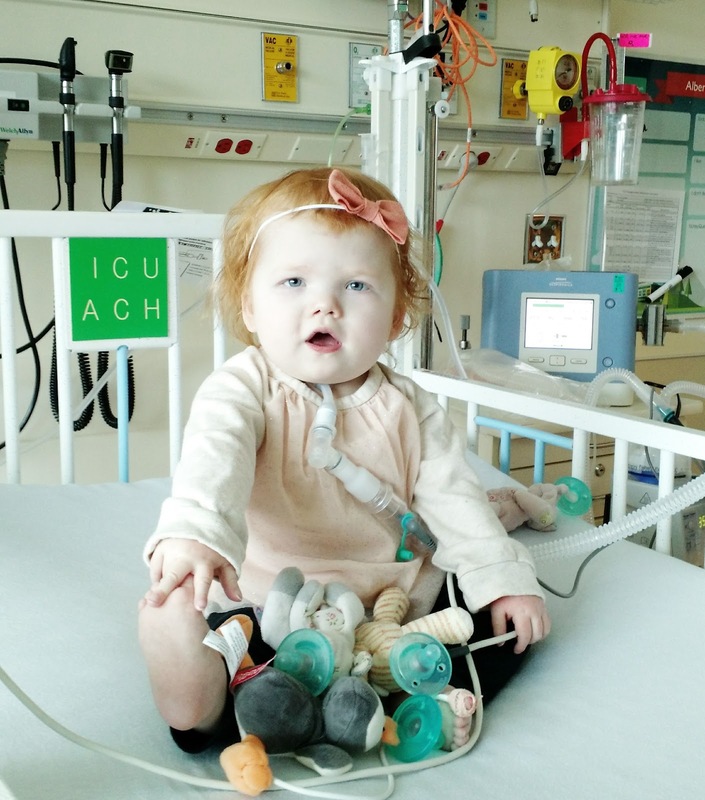 First and foremost, I want to first explain while I don't care how long Evanna has the TRACH for, I am very desperate to get her sprinting OFF of the ventilator -- at least during the day. I can't emphasize enough how much it'll improve our families quality of life if we only have to deal with a trach and a little bit (okay, okay a lot) of oxygen. Not only will we gain freedom to move freely within our own HOME, but taking Evanna out will improve immensely. When we initially agreed to the trach, the ENT surgeon estimated that Evanna would only need it for a year – maybe two (.... and this is why they hate giving estimates lol). We are just weeks away from Evanna's 2ND "tracheoversary" and no where close to decannulation (the process of removing the trach). 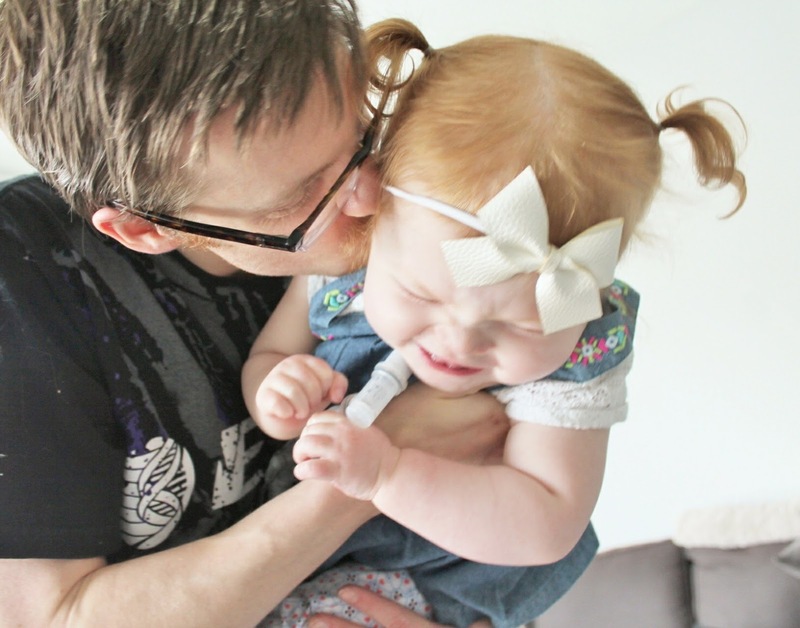 Last Spring we thought that we could begin weaning Evanna off the vent, but were met with huge disappointment when we were discharged without a single decrease made. However, lots has happened over the past year and we hope that by giving her some more time, we will have different results this time. My relationship with the trach + vent is very much a love/hate one. I am beyond grateful for this option and the opportunity it's giving Evanna to grow, develop and get stronger... and most importantly – allow her to be HOME with us. There are also many "trach perks" and I'm so incredibly thankful to live in a place that provides so much support.... however, the "tach life" still imposes many limitations, and despite our best efforts, there are still many things beyond our reach that people take for granted on a daily basis. Our bronch has been officially set for April 5th, and hopefully there will be an ICU bed for us, so it can proceed as planned. I'm incredibly nervous, as this bronch could allow us to work towards the "freedom" I so desperately want, or continue to make us be patient and wait a little longer. [ON TO OTHER NEWS] With only one days notice (because they had a cancellation), we FINALLY had a barium swallow study done on Valentine’s Day, and Evanna PASSED! We are currently cleared for pureed foods, and are so happy (especially our occupational therapist lol) that we have some freedom to start being a bit more aggressive with oral feeding. We know we have a huge mountain to climb in this regard, as Evanna has absolutely no interest in eating, but this is a great first step forward. Wish us luck!! 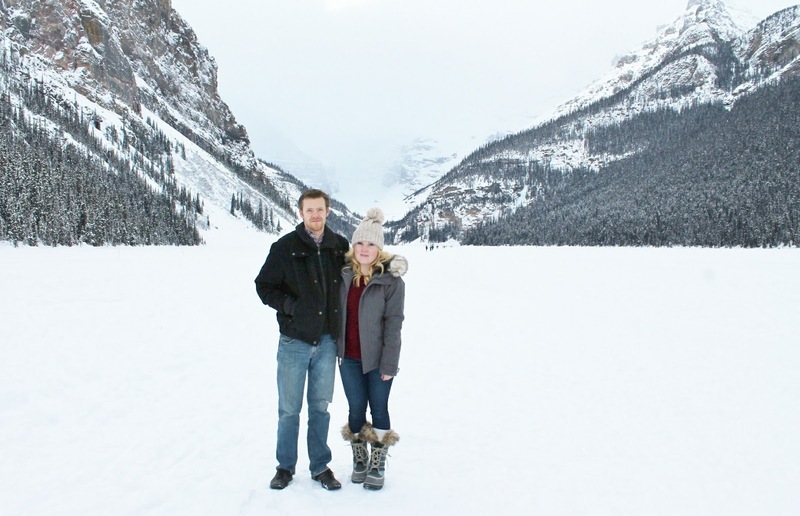 Last weekend Nick and I went away for just over 24 hours to Lake Louise, but it was actually a pretty big deal. In the past we’ve stayed at a hotel for a night here and a night there after Evanna was born -- but they’ve all been while Evanna was in hospital. I know that sounds completely insane (especially if you’re new here), and some may gasp “what!?! You went off gallivanting while your child was in hospital!? !”, but hospital life is kind of just another regular day to us, and it was generally for something big (bridal party/wedding event, celebrating an anniversary, etc)…. and you couldn’t ask for a safer place to watch your child when you’ve got cardiac intensivists at your fingertips. Evanna was always super stable on the 3 times we went “away” (but weren’t really… lol), but it was highly encouraged by the intensivists themselves, and they were always ecstatic that we were taking some time out for ourselves. What I’m trying to say is we had some of the best gosh darn babysitters that money could ever buy….so once in awhile we took advantage of it when all was well, and we needed a break. Fast forward to now. We’ve tried going away in the past (think April 2016 for our anniversary……but ended up admitted for a sternotomy infection forcing me to cancel plans to Canmore), but up til now, any nights away have been separate so one of us was always home (or at least extremely close by). I told Nick now that Evanna is a little bit older and way more stable, it’s time we do a few more things TOGETHER as a couple this year, especially when we have the resources to do so (in the form of homecare nurses). Now, Nick is what I like to call a “helicopter parent”, and while that’s not a bad thing whatsoever (especially when you consider our situation and the attention she requires), but it’s super easy to make excuses to not leave Evanna in the care of others (she’s got a lot of quirks to say the least…) and likes to keep her in this protective bubble. So, I’m trying to ease him into it, and thought this very small and quick 24 hour trip would be a great first step (cause I’m hoping to do a full weekend once or twice this summer). Anyways, I’m happy to say the trip went great and all is well. 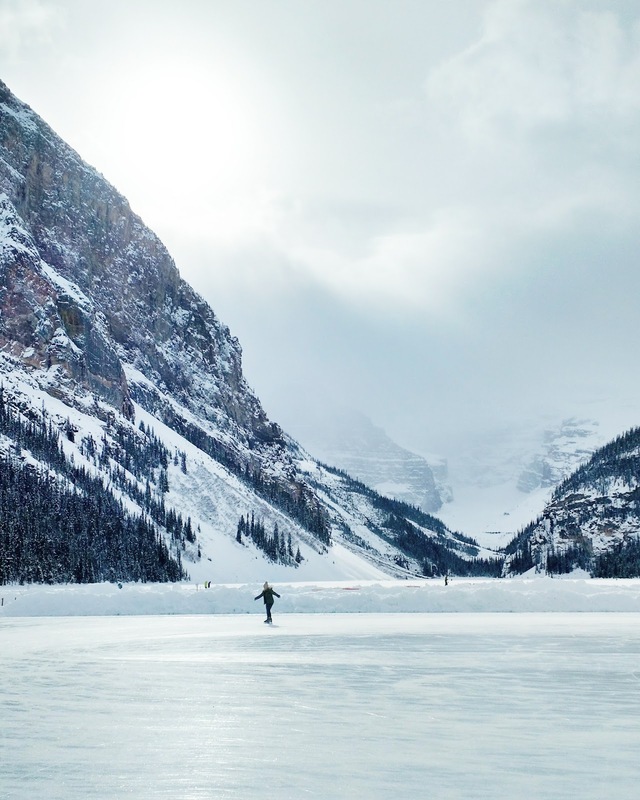 We first headed to Lake Louise to try a little ice-skating…but we didn’t stay out on the ice for very long because man, that s#!~ is hard ya’ll! While it did get easier the longer we were out there on the ice… Nick and I definitely need a bit more practice. After returning our skates (we just rented them for a few hours from the Fairmont), we ended up just walking around and headed out further out on the ice to take some pictures. We then headed back towards Banff to meet up with some friends for dinner and even ended up meeting up with Nick’s sister and her boyfriend who also happened to be in Banff that same weekend. Overall, it was a really nice mini vacay and Evanna got to hang out with her favourite nurses. Probably the #1 question I get asked all the time is what’s the latest on our referral to California (if you're new here, you can read HERE, HERE, and HERE to get a better background on this and why we're currently pursuing another open heart surgery "stateside"). I get it -- this is a huge deal and there is definitely a lot riding on it. Trust me, I am just as frustrated at how slow this whole process is, BUT thankfully Evanna is very stable and we’ve got time on our side (a huge blessing that we're incredibly grateful for). I decided to call the cardiology clinic last Tuesday, as I still hadn’t heard from Edmonton about a Cath date, and our cardiac nurse informed me that we were in a bit of a “communication limbo”. Our surgeon in Edmonton wanted to clarify where the Cath should take place, as Dr. Hanley is know for being very particular (like to the extreme), and generally prefers his team at Stanford to perform the Cath. However, being that we’re coming from Canada complicates that, and it’s a little easier said then done. I asked a fellow MAPCA mom who lives fairly “local” to us (Edmonton) who went down to California for their heart surgery a few years ago, and she told me they had their Cath done up in Edmonton and Dr. Hanley just gave specific instructions on what was needed. The following day our cardiac nurse called us back to inform me that Evanna’s name has now been added to the Stollery (Edmonton) Cath list, so hopefully we’ll get a phone call with a date in the next couple of weeks. Once the Cath is completed, it will be sent to Dr. Hanley for his final review on whether he thinks there is anything he can do to help Evanna and go from there. That’s basically all I got for an update….